Award-winning beaches, world-class dining and premier accommodations all contribute to the Cayman Islands’ status as one of the Caribbean’s most sought-after luxury vacation destinations. To help maintain and grow Cayman’s popularity among North American travelers, we focus on building meaningful awareness among core audiences with strategic traditional and social media relations that underscore the diverse array of experiences exclusive to the Cayman Islands. Whether hosting thematic familiarization trips for top-tier journalists and influencers, garnering national exposure for signature on-island events, or executing key in-market activations, Coyne sets the Cayman Islands apart from other Caribbean island competitors by highlighting its memorable guest offerings that extend far beyond its sandy shores. Borrowing on the Cayman Islands mantra as the “Culinary Capital of the Caribbean,” Coyne recommended the destination partner with the on-trend meal kit delivery service, Chef’d, to create the first-ever destination inspired meal kit in the U.S. Leveraging Chef’d’s national presence and significant West Coast customer base, announcement of the Cayman Islands meal kits featuring recipes from local chefs was supported with an influencer campaign, social media content and consumer sweepstakes. Encouraging U.S. visitation during the summer travel season, Coyne PR helped to amplify the Cayman Islands’ family-friendly offerings by initiating a “Kids Culinary Capital of the Caribbean” summer promotion, introducing miniature foodies to Cayman’s colorful and flavorful culinary scene with interactive cooking classes, new recipes, farm-to-table tours, and more. In partnership with on-island restaurants, resorts and culinary venues, the Cayman Islands Department of Tourism launched an epic epicurean lineup of specially-priced kid’s menu offerings and hands-on culinary activities as part of the Kids Culinary summer activation. 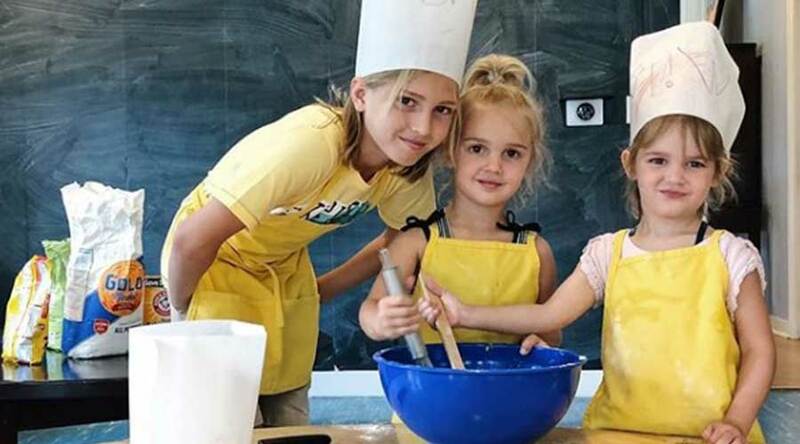 To amplify the program on social media, Coyne initiated a partnership with popular influencer-mom Katie Stauffer, mother to the sassy, pig-tailed duo Mila and Emma (who have gained 4 million followers on Instagram), to embark on a culinary journey in the Cayman Islands and expand their palates and creativity in the kitchen. 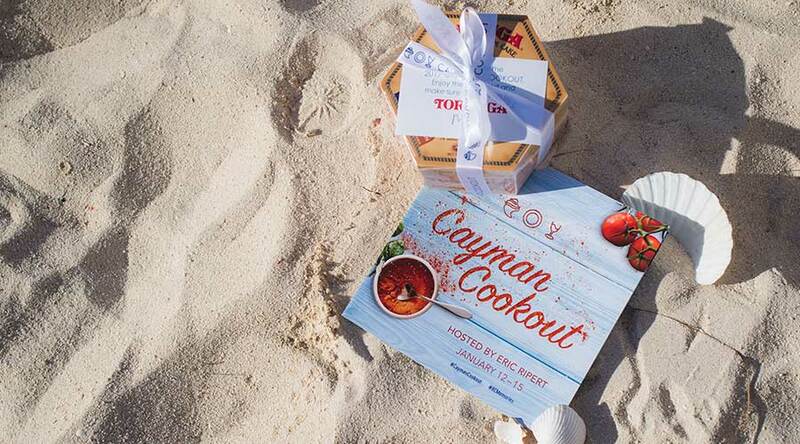 Overall, the new, foodie-focused summer program enhanced the Department of Tourism’s existing “Summer Only in Cayman” offer by encouraging tourism partners to participate, while also positioning the Cayman Islands as a leading destination among the highly-competitive Caribbean region by giving culinary-driven family members a compelling reason to visit this summer. In January, foodies flock to the tropical paradise of the Cayman Islands – also known as the “Culinary Capital of the Caribbean” – to experience the destination’s most sought after epicurean events of the year, Cayman Cookout. Established by world-renowned chef, Eric Ripert and presented by the Cayman Islands Department of Tourism, the event features esteemed chefs serving up bold, mouth-watering flavors through a wide variety of events that pay homage to the destination’s thriving culinary scene and authentic Caribbean fare. With numerous interactive cooking demonstrations and one-of-a-kind tasting sessions that showcase the destination’s fresh seafood, locally sourced ingredients and vibrant flavors, the four-day festival provides gourmands with a chance to experience the international appeal of Caymanian cuisine like no other. To generate media awareness for the Cayman Islands’ annual Cookout event, Coyne PR invites top-tier U.S. journalists representing key lifestyle and culinary publications to immerse in the thriving food and beverage scene while mingling with celebrity chefs and enjoying the stunning destination. Whether hosting thematic familiarization trips for top-tier journalists, garnering national exposure for signature on-island festivals, including the sought-after Cayman Cookout, or amplifying the destination’s presence at vital industry events in key markets, such as Art Basel Miami and Aspen FOOD & WINE Classic, Coyne continues to keep the Cayman Islands top of mind for consumers and media alike. 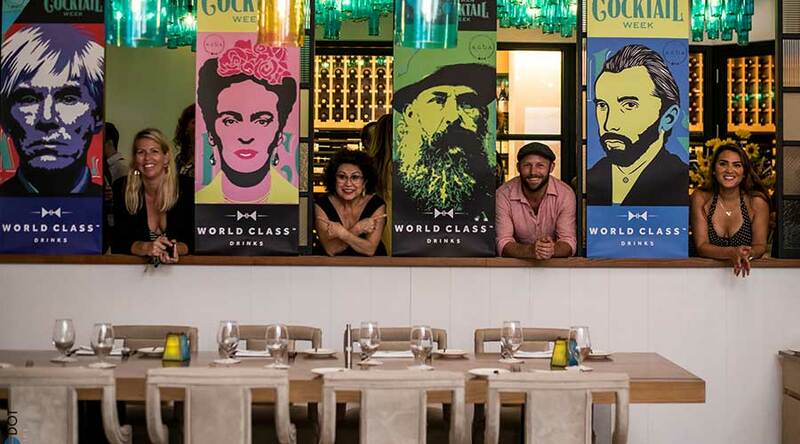 Further solidifying itself as a true epicurean destination, the Cayman Islands Department of Tourism tapped Coyne to invite key media to experience the spirited side of the Culinary Capital of the Caribbean during the 2018 Cayman Cocktail Week. Coyne executed a group press trip for top-tier spirits writers to experience a week of interactive events curated by Cayman’s best mixologists and industry insiders. Media had the opportunity to tour local distilleries, participate in cocktail workshops and watch unique demonstrations, while also experiencing all the destination has to offer.